Born in Milan (Italy), Marco Ramelli has graduated from the Royal Conservatoire of Scotland with a Masters Degree of Performance (APEL) with Distinction under the supervision of Prof. Allan Neave and he is currently a Doctorate student in the same institution. Marco’s RCS Contemporary Guitar research project will involve composers, guitar maker and institutions from worldwide with the aim of widening the guitar repertoire and find new possible development in the technique and the construction of this beautiful instruments. Marco Ramelli has performed all over Europe. During his career he has been awarded various first Prizes in international competitions in Italy, Spain, UK, France and Serbia. As a composer, Marco won the prestigious “World Guitar Composition Competition” and his music is performed in Italy and abroad by internationally acclaimed soloists. 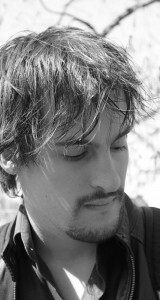 Marco Ramelli has recorded on the labels Nimbus Alliance, Naxos, Dynamic records. But his dedication to music is not only confined to his performances: Marco is also Artistic Director of some music festivals in Italy – for instance the increasingly important Festival Corde d’Autunno in Milan in collaboration with the Sistema Italia – as well as a very enthusiastic guitar teacher. From October 2015 he teaches “guitar ensemble” at the Royal Conservatoire of Scotland.